look at five of the biggest disappointments of the past year. When it’s a movie by Vishal Bharadwaj you know that there will be a cinematic treat laid out in front of you – whether Maqbool, Omkara, Ishqiya, you name it, Vishal has always managed to win over both the audience and the critics alike (a rare feat indeed). 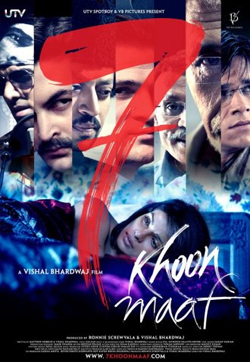 Which is why it was obvious that his latest offering, 7 Khoon Maaf, would have humungous expectations set from the start. Add to that the interesting concept of a lady who in search of true love ends up marrying seven times (based on the very talented author Ruskin Bond’s story) and you knew that there would be something different from the usual run of the mill stuff churned out every day in the name of entertainment. Not to forget the main star of the movie, Priyanka Chopra, who was to don seven different roles and had already proved her mettle in Kaminey and Fashion. But the movie sadly turned out to be a huge disappointment for Bharadwaj fans as the movie failed on quite a few accounts. 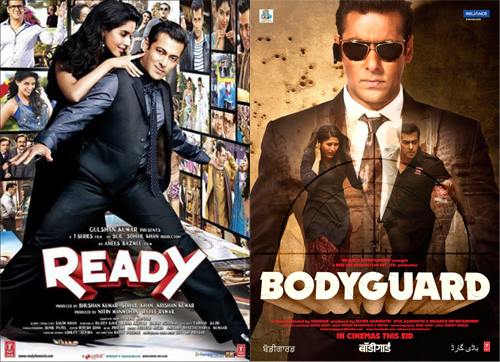 A repetitive storyline which bordered on boring quite early in the movie, tacky makeup for Priyanka, loopholes in the storyline and finally the missing of the wow/shock factor which is always present in his movies. A sad disappointment. I am an SRK fan and love his movies, but I can’t find any logical reason as to how someone could enjoy this disaster of a movie Ra.One. Having dug its own grave with the promotional drive overkill, Ra.One definitely did not deliver what it had promised. It’s 2011 and regional jokes have long being given their due burial, but no, the makers of Ra.One had to try to revive them – so we now have the hero (Shah Rukh) a “typical” South Indian geek with the curly hair and the fake accent who eats noodles with curd and bare hands (seriously?). For the last time, geekiness does not mean dumbness! Storywise, it was pretty much a hash up of the numerous superhero movies we have seen so far with really nothing new to offer. And frankly, the special effects were not that extra-ordinary (we have seen far better in Endhiran). Many might argue that it’s the first time an Indian company has managed to do such effects and yes as a milestone for Bollywood I am truly happy. But when one goes to watch a movie, do you really think that person cares who did those special effects? 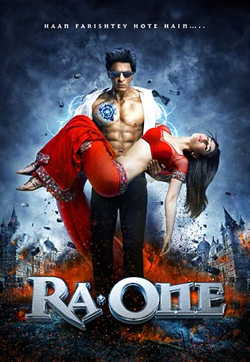 The end result has to be good, and sadly Ra.One wasn’t. to his role and it wasn’t really as bad as some of the other movies which came out this year. But considering the expectations which one had, this one turned out to be sadly very sad and boring. Prakash Jha needs no introduction and his political issue based movies have always been worth watching. Gangajal or Rajneeti, Prakash has always managed to portray socio-political concerns effectively. And when talks about the all-important topic of Reservation –which has stirred quite a lot of movements here in India – you know that Jha is the right person to portray it. But this time Jha seemed so caught up with the entire education system as a whole that he forgot what he was targeting at. The end result? Aarakshan which literally means Reservation is more about the money making education system than about reservations. The storyline got sidelined pretty much and the end result was that none of the issue was portrayed and tackled effectively. 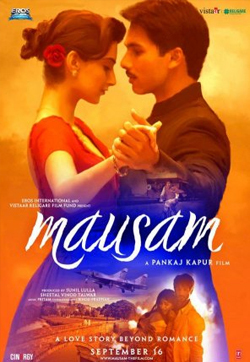 Add to that the fact that the highly miscast Saif Ali Khan and Prateik Babbar failed to do justice to their roles. Though not an entirely bad movie, Aarakshan failed to live up entirely to the hype it had created. Well, that’s my list and I am sure that while some may agree, others may not. Do let us know below in the comments what have been disappointments for you in the past year.